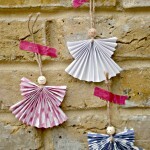 We love the simple crafts too. 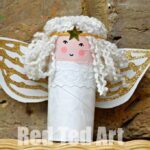 As you know, we made a Loo Roll Angel earlier in the week – that was a “bigger undertaking”, but we also like keeping it simple at this time of year – that is where this Paper Angel Printable and our Christmas Photo Booth printables come in handy! 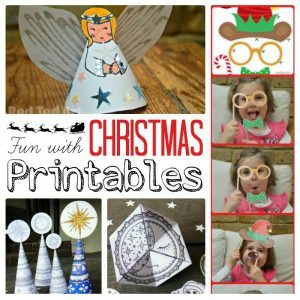 Do also take a look at our other Christmas Printables, as well as this great comprehensive DIY Angel Ornaments post! 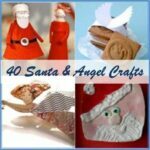 Paper Angels are a LOVELY seasonal craft – they are easy to make and the children have great fun designing and colouring their own unique Paper Angels. 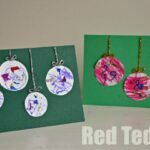 Why not carefully fold them and pop them into an envelope instead of Christmas Cards this year? 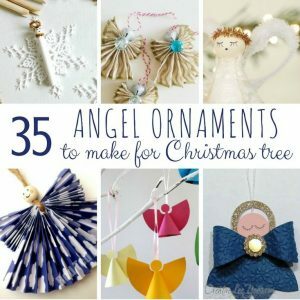 Or make an extra big Paper Angel for the Christmas tree? 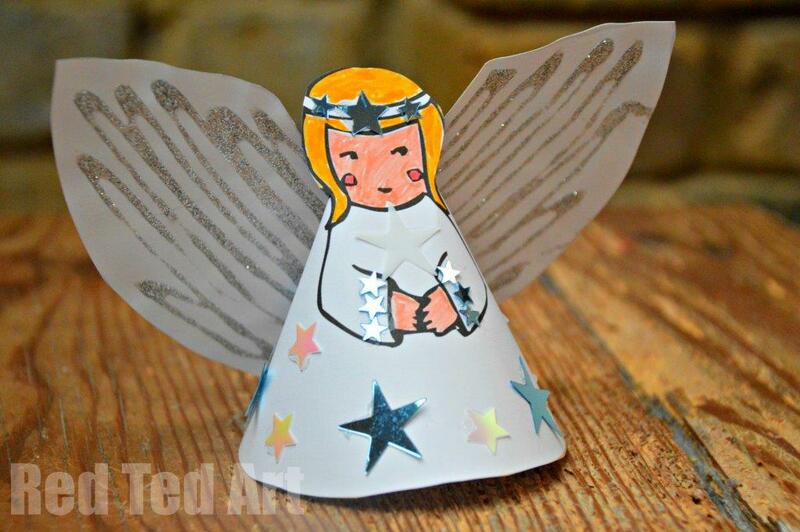 Just cut out the angel, colour, paint, use fabric scraps or glitter and fold together. PLEASE NOTE: if you are adding glitter to the wings, you must to this to the REVERSE side of your paper angel, as that is the side you will see! 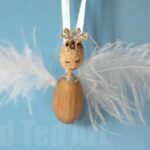 Click on the image to download or here: RedTedArt Angel copyright. Please do DOWNLOAD, to get the best print quality! 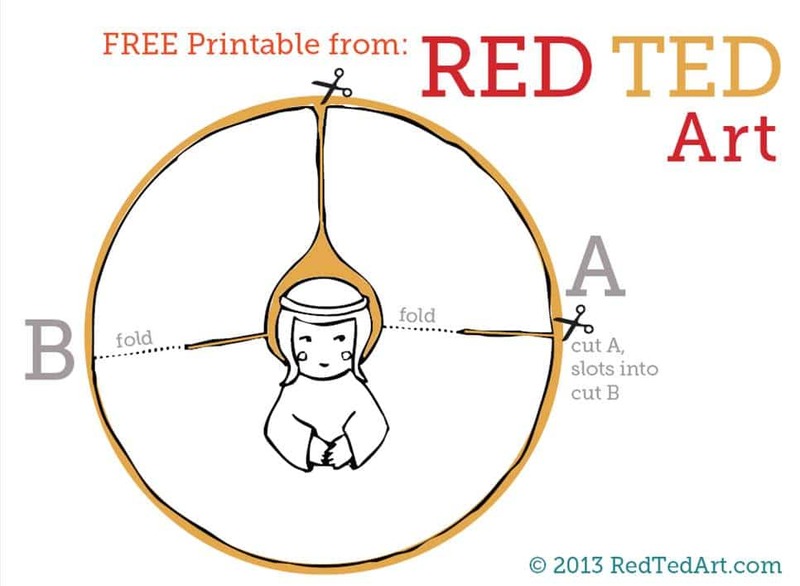 Have fun with our Free Paper Angel Printable! A quick shout out to Ali from Kids Chaos for helping me prettify the drawing!! 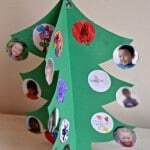 Have fun making your Angel Tree Toppers!! 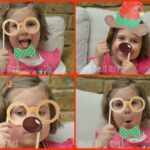 awww – it looks lovely on your blog Maggy! I don’t really understand what the wings are. Are they part of the printable? It looks like they’re made of wax paper? 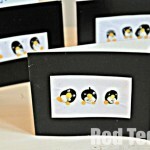 Hello, yes they are part of the printable, you cut and twist them round. It is just the shadows that make them look different.